THE MOTOWN BAND, FEATURING: VOCALISTS DUTCH ROBINSON, KENTISH STEELE, CECILE LAROCHELLE & THEDDA MARIE. OLAF DESHEILD, GUITAR; DOUG LOUIE, PIANO; SAM SHOICHET, BASS; ROB NEUMANN, DRUMS. HORNS: HOWARD ANDERSON, SAX; DAVE QUINN, SAX; KEVIN LEE, TRUMPET; GREG FARRUGIA, TROMBONE. A sold-out crowd enjoyed a fabulous evening of entertainment and dancing at the dance held at the historic and iconic Fort Langley Community Hall. 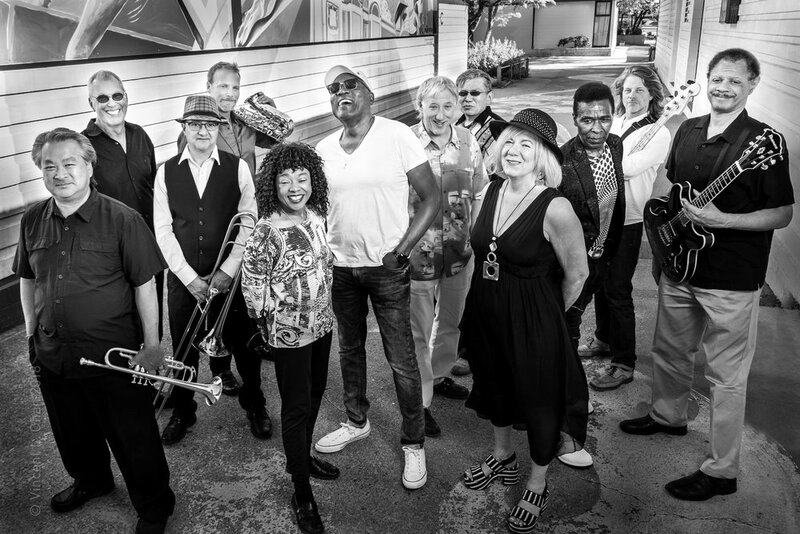 A scorching 12-piece band of seasoned musicians and some of Vancouver’s most talented vocalists will covered the music of Aretha Franklin, Diana Ross, The Temptations, Otis Redding, Gladys Knight, Marvin Gaye, James Brown, Jr. Walker and more.